Movie Ramble: Eyes Without a Face (Les Yeux sans Visage). Eyes Without a Face (Les Yeux sans Visage). French born Georges Franju’s directing style has been described as a ‘maker of stark documentaries and features, poetic and surrealist dreamscapes, literary adaptations, social commentary and sometimes with brutal content’ A man who admitted the his main reason for making films was to awaken an audience, and his second feature film, after a well received series of documentaries, can be said to do just that. 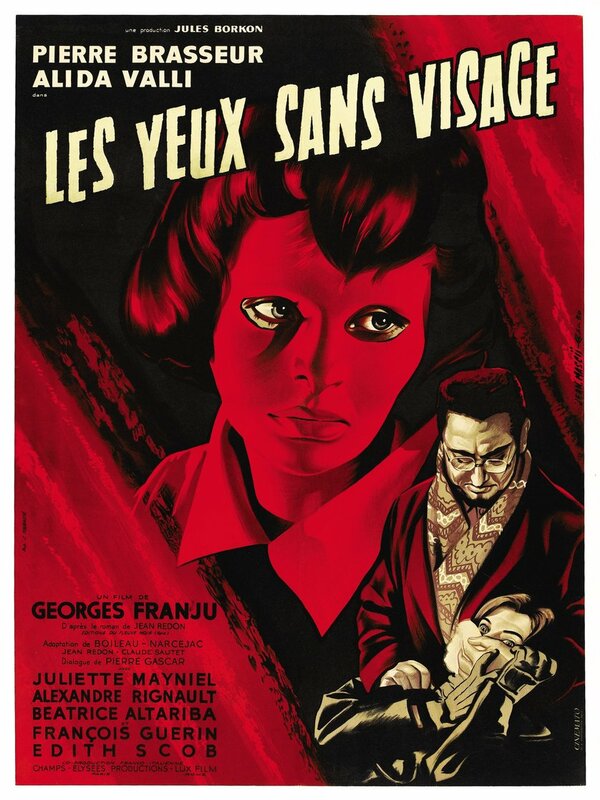 Now seen as a classic horror and certainly his best remembered film, Eyes Without a Face (1960) or to give it its French title Les Yeux sans Visage, is basically about a brilliant surgeon Doctor Genessier (Pierre Brasseur), aided by his assistant Louise (Alida Valli), who tries to repair his daughter Christiane’s (Edith Scob) ruined face, following a car accident that he was responsible for, by grafting on to it the face of a beautiful woman. 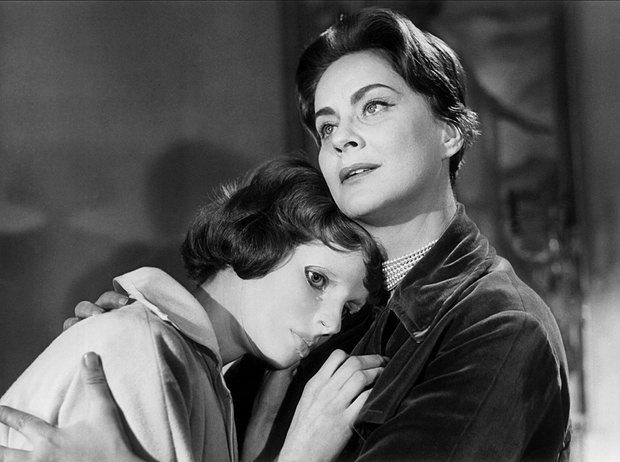 Franju’s movie was one of three movies made at that time that was condemned and ridiculed, the very underrated Peeping Tom and the very overrated Psycho. Surprisingly only Hitchcock’s film came through unscathed at the time, but since then the other two turned out to be far better movies and both are now seen as two of the greatest horror films ever made. The surrogate mother and the doctors assistant. Author Richard Humphries describes Eyes Without a Face as a subtle and highly sophisticated attack on Nazism and that Doctor Genessier’s experiments can be regarded with chilling hindsight in light of the monstrous experiments carried out by Nazi doctors. He goes on to opine that the entire film is a radical analysis of arrogance based essentially on the belief in the natural rights of one class in relation to another’s, kidnapping and murdering only young female students. The victim about to loose face! 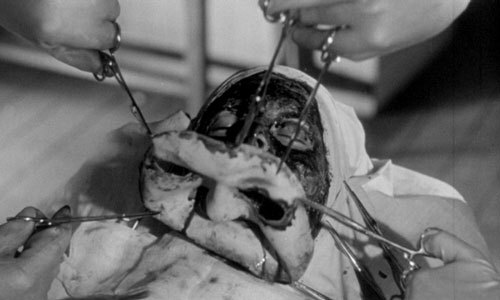 The film with its graphic scenes of gross horror including a glimpse of Christine’s missing face revealing the exposed muscle, watching or turning away as the mad surgeon removes the face of a dead female student and how the very dogs that he has used for his experiments turn on him with brutal repercussions. Again the movie raises the question of who is the monster Genessier or us for watching his grotesque work? The films legacy goes on. 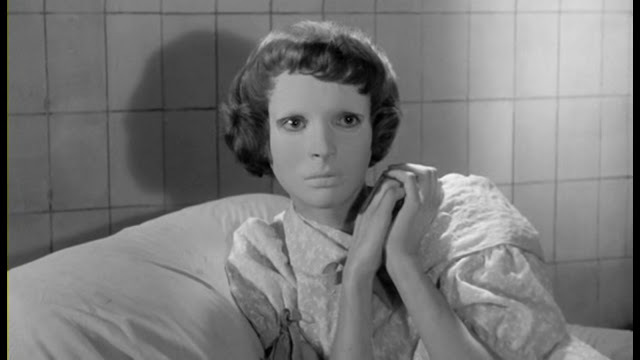 Pedro Almodover has admitted that his 2011 movie The Skin I Live In, which also featured a mad surgeon who performs skin grafts on an unwilling victim, was heavily influenced by Franju’s movie. Philip Kemp - 501 Movie Directors.